Peers play an important role in adolescence, a time when self-harm arises as a major health risk, but little is known about the social networks of adolescents who cut. Peer network positions can affect mental distress related to cutting or provide direct social motivations for self-harm. This study uses PROSPER survey data from U.S. high school students (n = 11,160, 48% male, grades 11 and 12), finding that social networks predict self-cutting net of demographics and depressive symptoms. In final models, bridging peers predicts higher self-cutting, while claiming more friends predicts lower cutting for boys. The findings suggest that researchers and practitioners should consider peer networks both a beneficial resource and source of risk associated with cutting for teens and recognize the sociostructural contexts of self-harm for adolescents more broadly. The online version of this article ( https://doi.org/10.1007/s10964-019-01011-4) contains supplementary material, which is available to authorised users. We thank the members of working groups at Duke and PSU for their helpful comments and acknowledge the contributions of study participants, families, and the PROSPER staff to making this project possible. M.C. contributed to study design, conducted analyses, wrote the manuscript and contributed to revisions; J.M. generated the networks; S.E.S., M.E.F. and J.M. contributed to study design, interpretation, and revisions; D.T.R. participated in revisions of analyses and draft. All authors read and approved the final manuscript. This research is supported by grants from the W. T. Grant Foundation (8316) and National Institute on Drug Abuse (R01 A018225) to D. Wayne Osgood. The analyses used data from PROSPER, a project directed by R. L. Spoth, funded by the National Institute on Drug Abuse (R01 DA013709) and co-funded by the National Institute on Alcohol Abuse and Alcoholism. Due to the sensitive nature of data collected, the dataset is not available for public use at this time. The procurement of the data required for this study was approved by the Iowa State University and Pennsylvania State University institutional review boards. All youth and families were informed about and consented to participate in the data collection for this project. Family relations scale: The scale was constructed by taking the mean of each of the standardized measures, using the grand composite of the four affective quality subscales with one-fourth weight. Your MOM let you know she really cares about you? Your MOM act loving and affectionate toward you? Your MOM let you know that she appreciates you, your ideas, or the things you do? YOU let your mom know you really care about her? YOU act loving and affectionate toward your mom? YOU let your mom know what you appreciate her, her ideas, or the things she does? Your DAD let you know he really cares about you? Your DAD act loving and affectionate toward you? Your DAD let you know that he appreciates you, your ideas, or the things you do? YOU let your dad know you really care about him? YOU act loving and affectionate toward your dad? YOU let your dad know what you appreciate him, his ideas, or the things he does? Response options to these questions were 1 = Always or almost always, 2 = Often, 3 = About half the time, 4 = Not very often, or 5 = Never or almost never. You work on homework or a school project together with your Mom or Dad? You do something active together with your Mom or Dad? You talk about what’s going on at school with your Mom or Dad? You work on something together around the house with your Mom or Dad? You discuss what you want to do in the future with your Mom or Dad? You do some other fun activity that you both enjoy with your Mom or Dad? Response options to these questions were 1 = Everyday, 2 = A few times a week, 3 = About once a week, 4 = Two or three times during the past month, 5 = Once during the past month, or 6 = Not during the past month. My parents give me reasons for their decisions. My parents ask me what I think before making a decision that affects me. When I don’t understand why my parents make a rule for me, they explain the reason. I like school a lot. I try hard at school. Grades are very important to me. I feel very close to at least one of my teachers. I get along well with my teachers. Geulayov, G., Casey, D., McDonald, K. C., Foster, P., Pritchard, K., Wells, C., & Hawton, K. (2018). Incidence of suicide, hospital-presenting non-fatal self-harm, and community-occurring non-fatal self-harm in adolescents in England (the iceberg model of self-harm): a retrospective study. The Lancet Psychiatry, 5(2), 167–174. https://doi.org/10.1016/S2215-0366(17)30478-9. Pickering, T. A., Wyman, P. A., Schmeelk-Cone, K., Hartley, C., Valente, T. W., Pisani, A. R., & LoMurray, M. (2018). Diffusion of a peer-led suicide preventive intervention through school-based student peer and adult networks. Frontiers in Psychiatry, 9, 1–16. https://doi.org/10.3389/fpsyt.2018.00598. Zahn-Waxler, C., Klimes-Dougan, B., & Slattery, M. J. (2000). 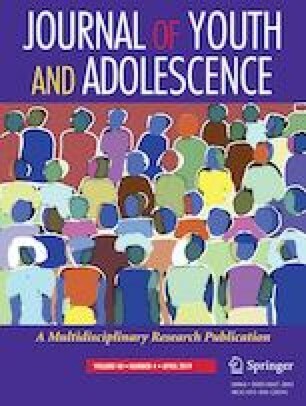 Internalizing problems of childhood and adolescence: prospects, pitfalls, and progress in understanding the development of anxiety and depression. Development and Psychopathology, 12, 443–466. http://journals.cambridge.org/abstract_S0954579400003102.